France remains one of the world’s most desirable locations but finding the right property here can be extremely difficult. In most other countries, there are one or two property portals which will list every property on the market with every agent and every private seller but that is not the case in France. Here, 50% of properties for sale will not even appear on the internet. Agents operate very differently here too; you won’t be given a handy map with the exact location of the property marked on it because agents are far too worried that they will be cut out of the sale so property details will only give a very vague location, often not even the name of the closest village. Plus most agents give out only the most basic information about each property; certainly no ‘to-scale’ floor plans, nor even many photos (again so as not to give away the location or because photos are more likely to put off potential buyers). Which means you really do need to view a large number of very unsuitable properties here before finding ‘the one’. And of course, agents are working for the seller and have the sellers interests at heart, not the buyer. We, on the other hand, work exclusively for you. We are not estate agents nor do we have a list of properties to sell – we act only for the buyer and we are completely independent so we can show you properties with every agent (we do not take any commission from agents and hence have no bias), as well as those being sold by Notaires or being sold privately or those not even yet on the market at all. We offer you expert and impartial advice throughout the search and buying process. Not only do we find your property, we view and analyse it and report back on it to you, negotiate on the price to secure it and then help you through the buying process. We find the best property matching your criteria at the best price and best terms to match your needs, lifestyle, aspirations and budget. Moreover, we know what the market is doing, where prices are going, what is good value and what is not. We are here, on the ground, tapped into the local property market with local knowledge and contacts knowing people, properties, prices and understanding what’s going on. Many think that we provide our services only to the super-wealthy. Not true, our clients have budgets ranging from €100,000 Euros upwards and we find and secure for our clients any type of property from renovation projects to manoirs, barns to châteaux, holiday homes to businesses and everything in between. 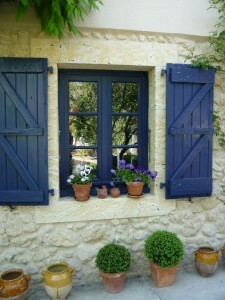 If you want the best choice of property for sale in France within your budget, then you need a property finder. You can trust us; we are fully registered, licensed, insured, part of the largest and best known network of property finders for foreign buyers in France and members of the French national association of property finders; FNCI (Féderation Nationale des Chasseurs Immobiliers) and, most importantly, we have a huge number of very happy past clients. In an increasingly busy, competitive and international world, engaging a professional property buying agent to find your home in France is just good common sense and probably the best decision you will make this year if not ever.